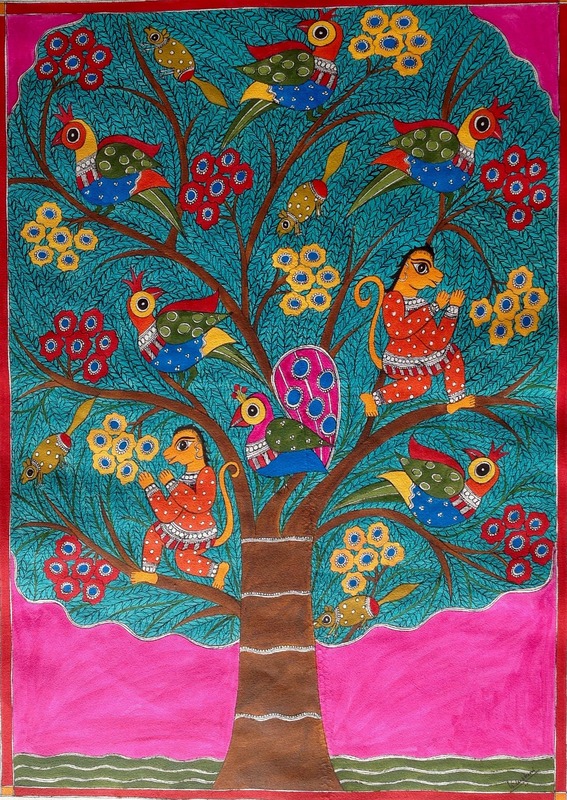 All of nature exists in harmony, exemplified by the Tree of Life. 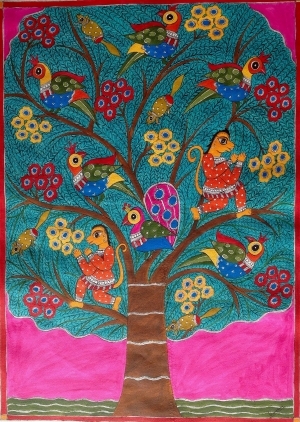 Flowers bloom on its generous branches and colorful birds and animals find shelter there. 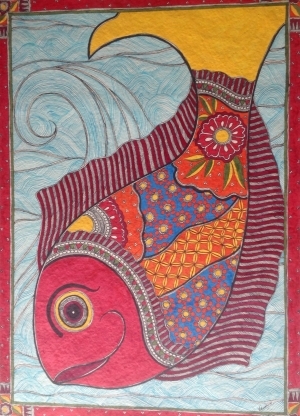 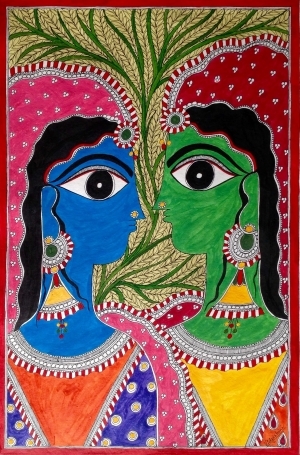 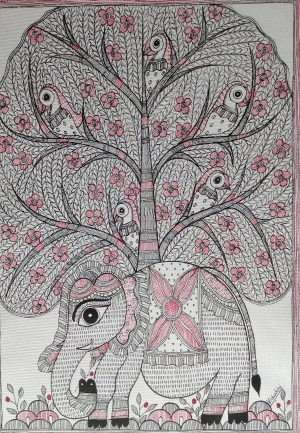 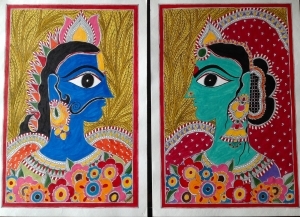 This painting is done in the Madhubani style, a folk art form of Bihar.